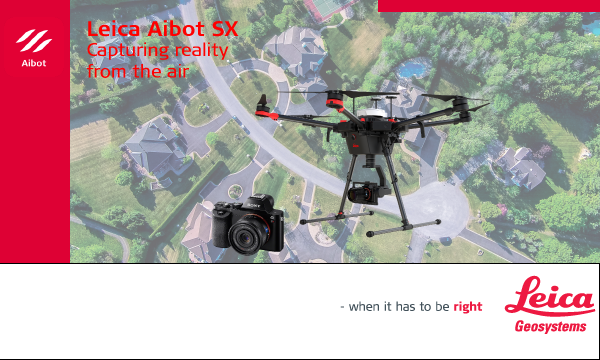 Leica Aibot, the complete UAV solution for surveying, mapping and construction enables fast and flexible data collection. The system captures, processes and analyses millions of data points. Visualisation of the data provides actionable and accurate information that depicts the reality and improves decision making. The Aibot workflow is based on Leica Geosystem’s trusted product portfolio and seamlessly integrates with Leica Infinity software suite to process and analyse data. 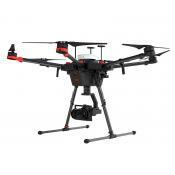 This UAV technology supplements existing survey equipment such as total stations, GNSS and laser scanning to provide a complete view of your project site.